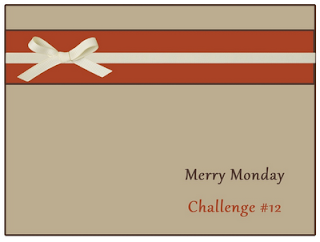 This week over at Merry Monday Lesley has a very simple sketch and it was a perfect way to use up the big piles of non-SU paper I have laying around. I used a sheet of 12x12 My Minds Eye paper to make these 2 cards. Although the sketch has a ribbon I didn't add that, as I thought the design along the top and bottom of the paper was pretty and I didn't want the design and ribbon to compete for attention. 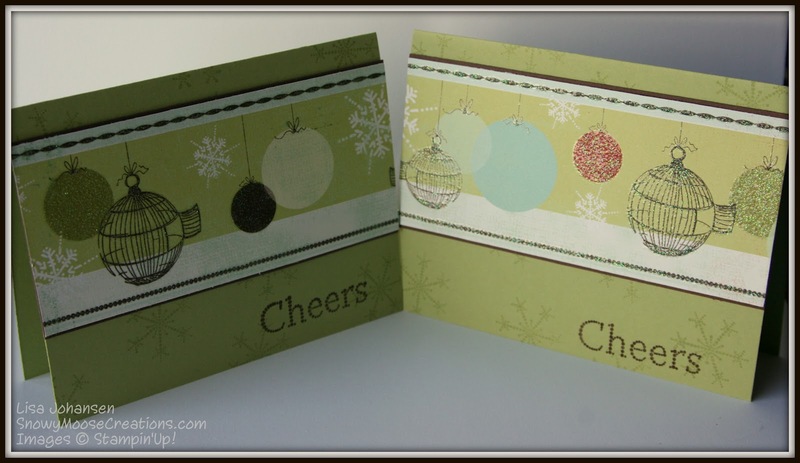 Another 2 Christmas cards for my stash, and these 2 were super easy to make! 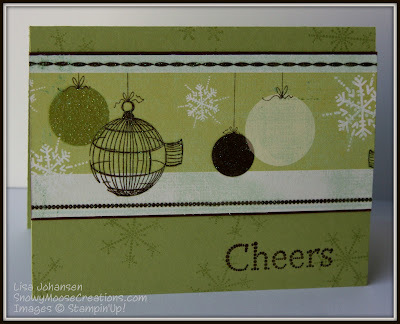 Nice cards: the background snowflakes are from one of my favorite stamp sets. Beautiful DSP, too! 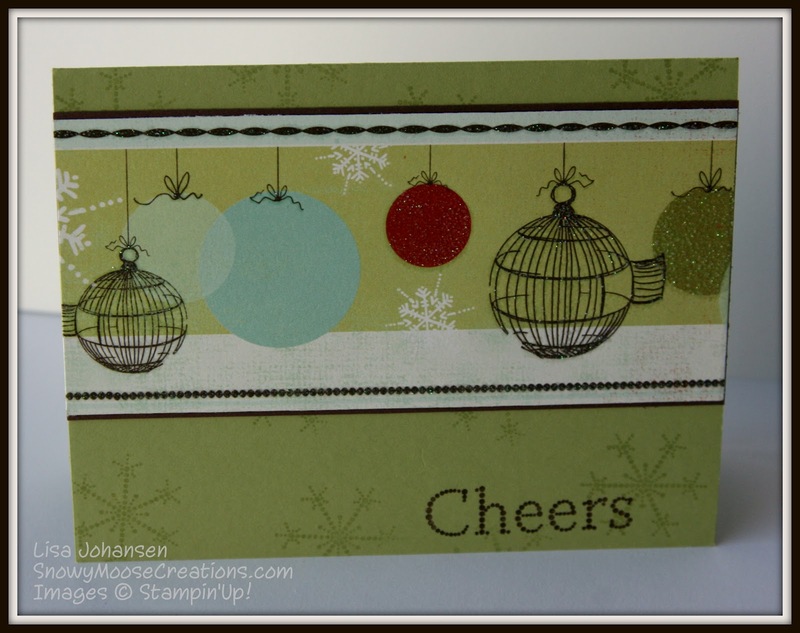 These are two fantastic cards and your are definitely right, with that great design who needs ribbon. Those are two really cute cards! I love them both! Love the pop of red in the first one! Stop on over at my blog, I have a little something for you!!! You're right not to cover any of that beautiful paper with ribbon. I love these, Lisa! Beautiful paper and well put together cards. You were right, this was a great way to use that paper and no ribbon is needed! Love 'em Lisa!